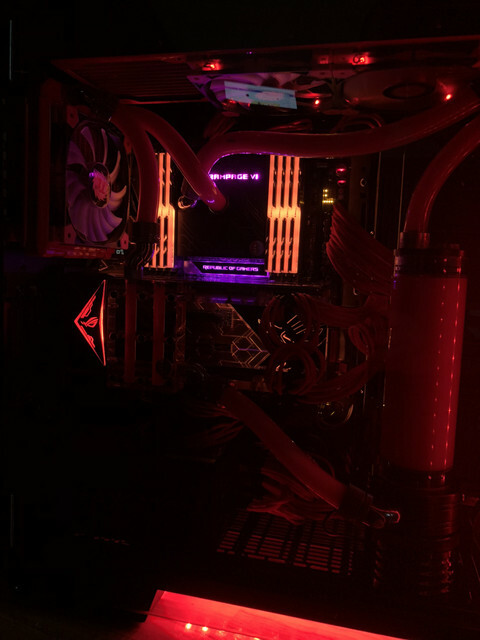 I recently migrated about as high end a system as you can build (Asus Rampage VI Extreme, 7980XE, 2 x Titan Xps) from a Thermaltake Core V51 to the fairly new V71 TG RGB edition. Heres my thoughts. -Like the Core V51, Thermaltake is taking leeway with saying these cases will accept E-ATX mobos. While it's true the mobo will technically fit onto the preinstalled mounts, in both cases it leaves a lot to be desired. 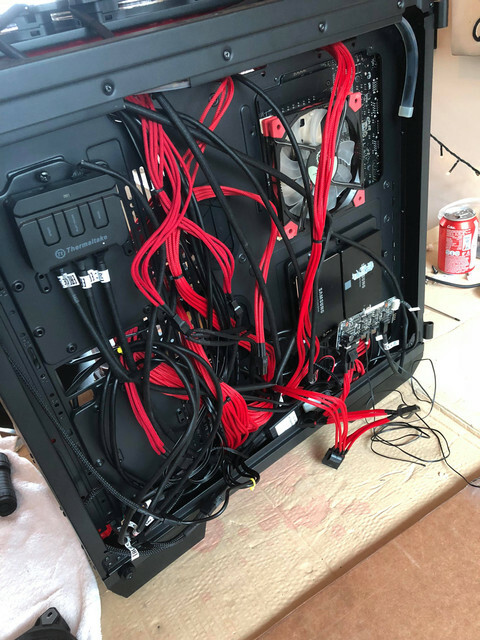 E-ATX boards are too wide by about 1", so you totally lose functionality of the 2 x rubber grommet cable pass-throughs to the right (where you would normally pass your 24 x pin mobo power cable and your HD sata cables through to the backside of the case). The right edge of the board completely covers them. With the V71, I had to take a dremel cutting tool and cut some of the useless metal "ladder work" to the right of the covered up grommets to make my own cable pass-throughs to the back. 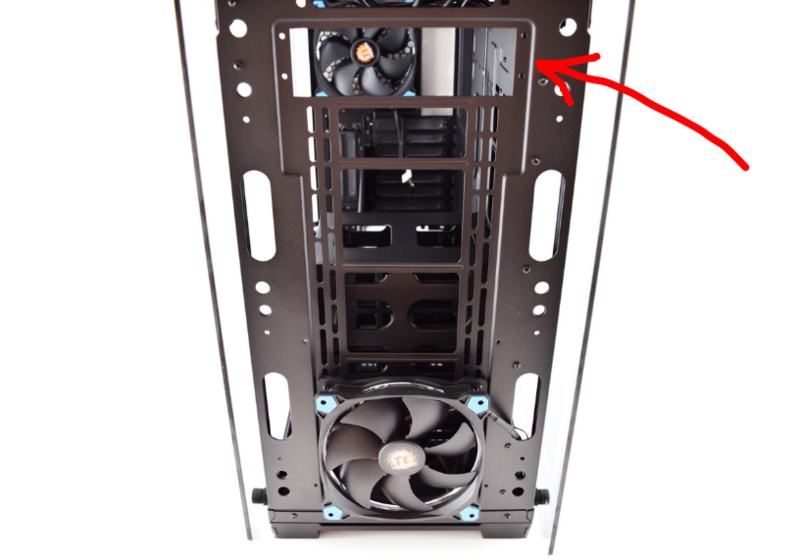 -I never understood why Thermaltake has done this with both of their cases that I've owned (The Core V51 had this problem as well): There is a metal "L-shaped" bracket that is not removable (it's fused with the motherboard tray) that is designed to "press down" on the top of your PSU, I guess as added downward mounting pressure. I could see this being only slightly useful in the event you are buying a pre-made OEM PC with a Termaltake case. In the event the shippers drop or are rough with your box the, downward pressure of the metal L-bracket would help keep the PSU more securely in place than just the typical 4 x small metal screws in back that are normally used to secure it. 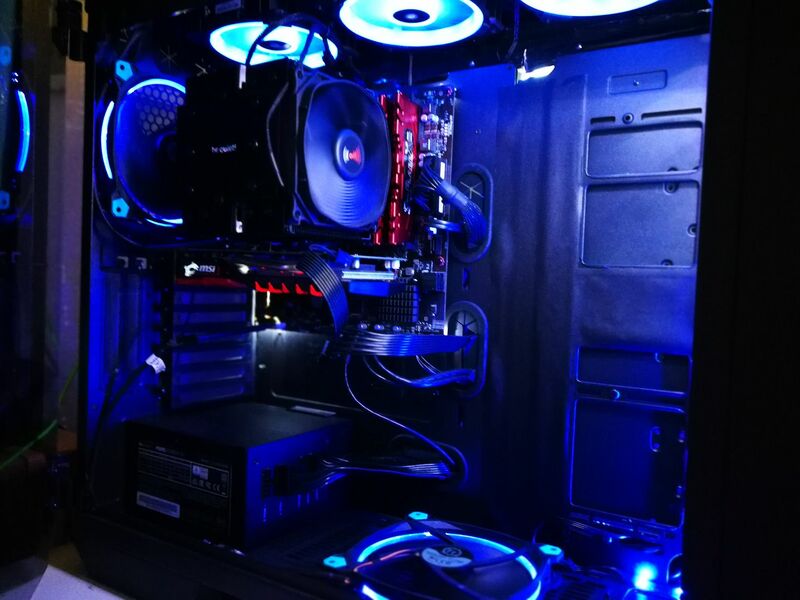 But with any high end mobo that has the extra 4 x pin molex power connector on the bottom to provide additional power specifically to the GPUs, that metal bracket prevents you from attaching the power cable. It completely conflicts with the molex plug and there is no way at all to connect it. What I had to do in both cases was to take my Dremel cutting wheel and physically cut off this bracket (again, its part of the mobo tray so you cant just unscrew it). Both these issues in my mind make the V71 (and the Core V51 I had before it) NOT officially E-ATX compatible but Thermaltake insists they are. +It's all about the glass! The thing looks great and my attached quick cell phone pics DONT do the visual impressiveness anywhere close to justice. I took these quick snapshots with an iPhone X and it has a little trouble focusing on the glass and I notice the pic makes the front glass look blurry (which it's not in person). In RL, this case screams (to me anyway) art work. It's not In-Win S-Frame, but it's also not 1500 dollars!! +Personally (though this COULD go in the "THE MEH" section for some people) I like the "back" (ie right) side tempered glass closing door. 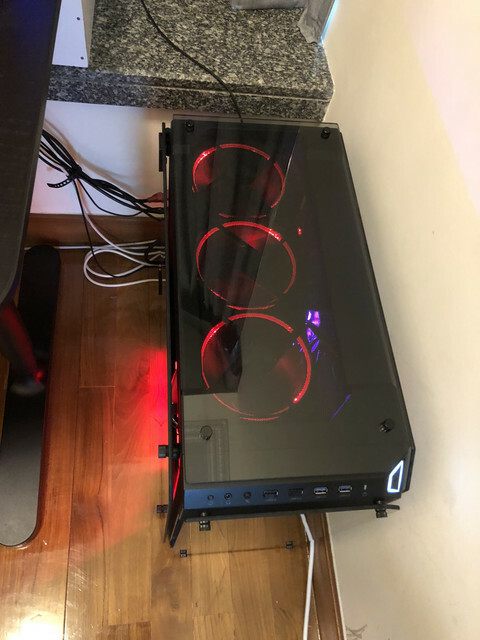 Not because of the looks, the back of my case is a TOTAL MESS but I place that side against a wall so you dont see it. But it does provide a lot of "depth" for very easily containing a LOT of cables, fan controllers, RGB remote receivers, etc. 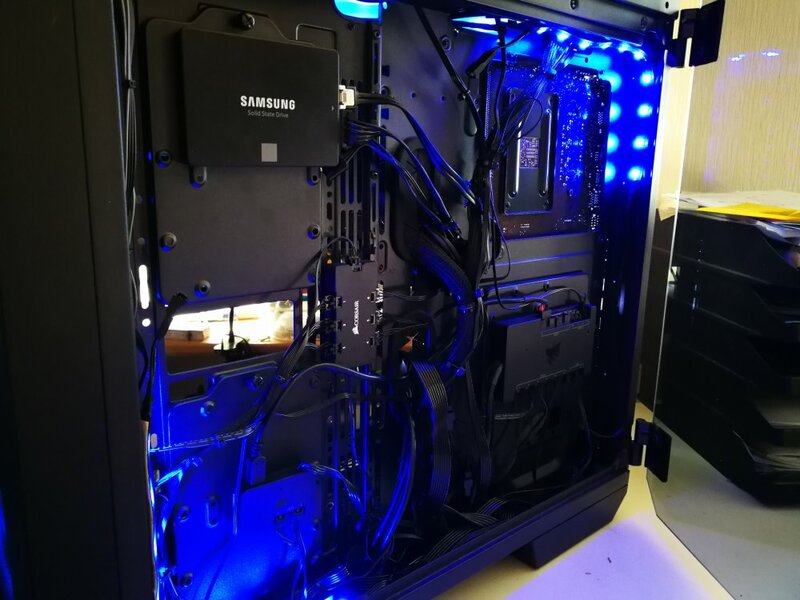 The case already has about a full 1" of depth for cable management back there, and the glass doors on both sides do NOT close flush. They have thick rubber stoppers almost .5" thick that give you even more room because neither door closes even close to flush with the side of the case. This is the first case I've ever had that actually had room for creative mounting of a BACKSIDE of the MOBO fan! I have slim line Thermaltake (the same thats on the inside of my radiators) 120mm fan mounted as a "pull" on the back side of the CPU plate. 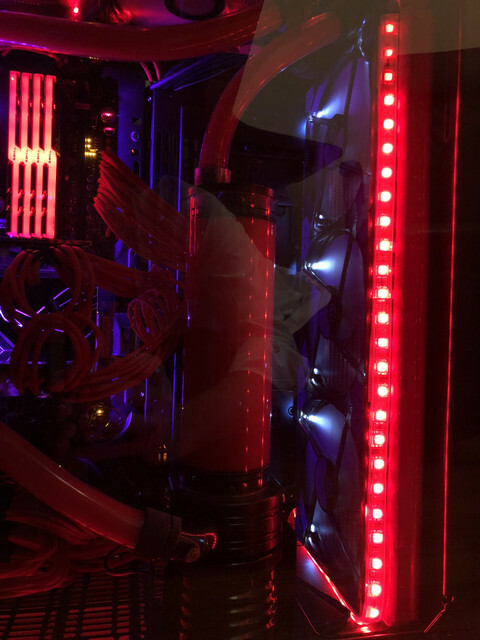 This is what gives the red glow on the right side of the case in a couple of my pics. The reason I said this big gap could be a "meh" for some is because it would NOT be good for noise (or looks). If you are running high RPM fans (I went for near total silence and use the ASUS BIOS to stop all my fans except for 2 x on one of the radiators except for high CPU temps) you might want to consider this is basically an open-air case with respect to noise. Here is a nightmare pic of the right side of the case!!! Again, all I can say is GLASS GLASS GLASS!! +/-In the V51, I was able to comfortably mount all 3 x of my radiators and have them "fully fanned" on the inside. But in the V71, the top of the rear 120mm exhaust port rad conflicts with the rear of the top 360mm rad, and I had to remove a fan on the top rad to make it work. Thermaltake isnt really good in its instructions about address more than one radiator builds. They say stuff like "supports up to a 420mm rad" for the various mounting positions, but they never tell you what combinations of multiple radiators will fit. I have 3 x in this case, a 360 on top, a 420 in front, and a 120 in the rear. +/- Noise. Mine is almost dead silent BUT like I said, I have the ASUS Q-Fan BIOS option set to totally stop all the fans except the 2 x thin model fans mounted on the bottom of the top rad (exhaust blowing up wards) Those are the only 2 x fans on (and theyre low RPM, 800 RPM) until my CPU hits 55 C, then the multitude of other fans start to spool up slowly. The only time any of the other fans are ever on is during gaming and then I have my desktop speakers wall-shaking loud so it doesnt matter. For movie and desktop use, its totally silent and the only noise making thing in the PC room is my 3 x 7200RPM hard drive external USB box. 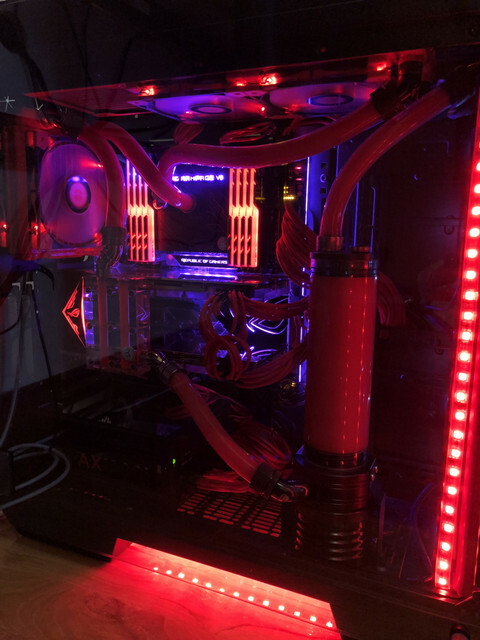 But if you were going to build a totally air cooled system, especially with factory cooling on Titan Xps or 1080 Tis..... noise would be an issue with this case. 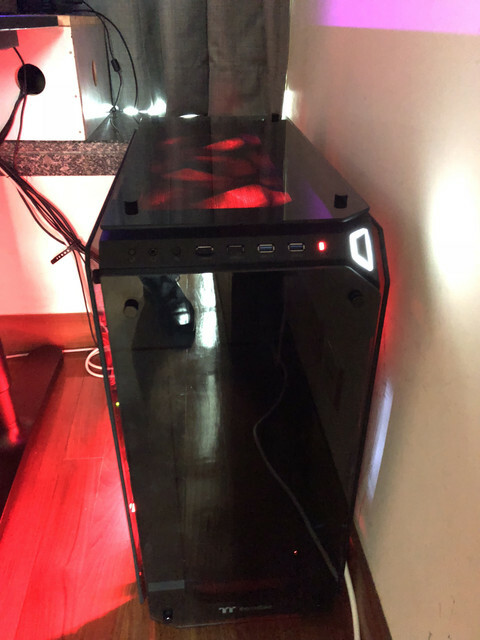 It doesnt have the looks of totally "open air" like the P5 or In Win exotic cases, but with the almost 3/4" gaps on both side panels and the top and front glass.... for noise purposes it may as well be an open-air case. I LOVE the looks. 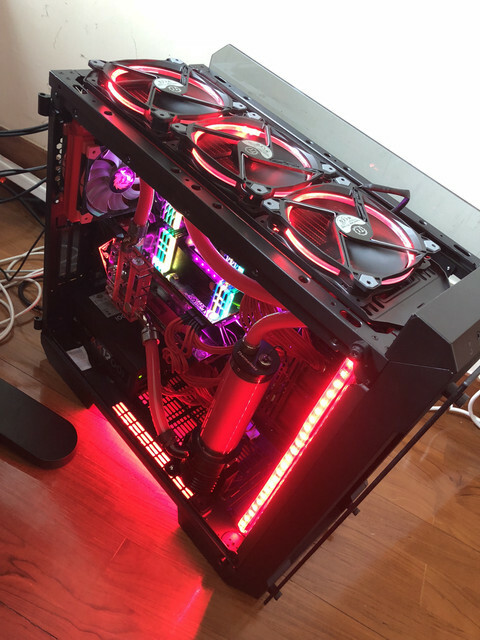 Thermaltake (to me anyway, I know its subjective) is one of those companies than can make a really snazzy looking case without breaking the bank like an In-Win S-Frame. BUT they should REALLY make that silly L-shaped PSU pressure bracket easily removable for guys who need to connect the bottom MOBO molex power plug. And, either they should move the cable passthrough cuts out 1" to the right so people who mount E-ATX boards can actually use them or come out with a full disclaimer "If using an E-ATX mobo you will lose access to the right side cable pass through grommets". Here you can see where I couldn't mount the 3rd fan on the top 360mm rad because it conflicts with the rear 120mm rad's intake/exhaust ports. This is a bit discouraging because I'm using the same 120mm fans as I had in the Core V51 (Thermaltake 120 x 25 mm Lunas). But in the V71 TG, the rear exhaust port is about 1" closer to the top than it was in the Core V51, so if you are trying to use a rear rad + a top rad, you wont be able to fit a fan on the left side of the top rad. 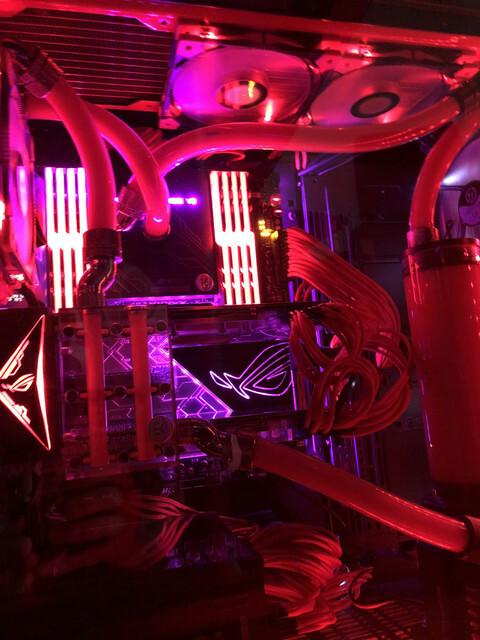 This is where I say Thermaltake is lacking, they need to point out what COMBINATIONS are ok for custom water, not just what rad will fit in each slot if there are no other rads mounted. Front. No "push" front intake fans yet. I have 3 x 140 mm Riing Plus fans ready to go in, but the case is so heavy Ive been putting off moving it to put them in! Man, is the View 71 TG/RGB really unpopular? 2) the disk cage back cover, covering the drives' cables is a tight fit especially for HDDs once the cables are mounted. 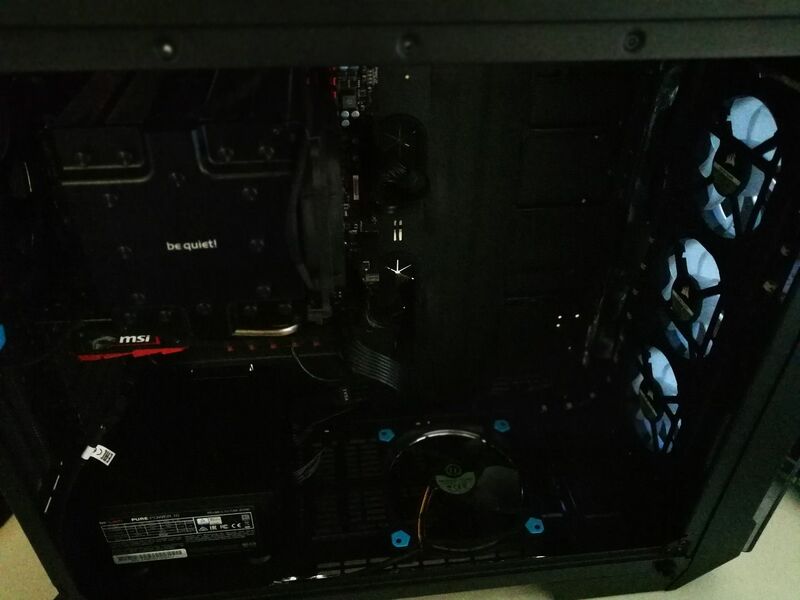 I just assembled my View 71 a few days back and got 2x 140mm fans in the front(blowers) and top (suckers). Cinebench without fans (only cpu fan and the one back fan) max Temps are 52c and in games 43c. 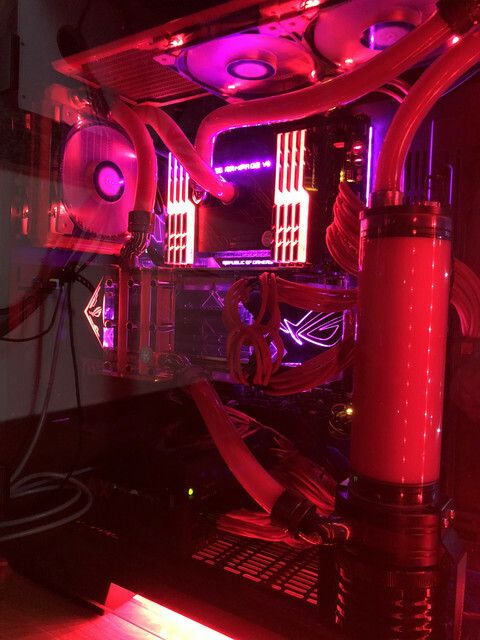 Hi everyone, just built an interim low end gaming rig in a View 71 with Ryzen 3 2200G while I save for GPU. Great case, enjoyed the build and will post some pics later. I was wondering during the build what this cut out was for... can anyone tell me? hi i am looking at getting this case. i was just wondering how much room is there between the motherboard tray and the back panel? 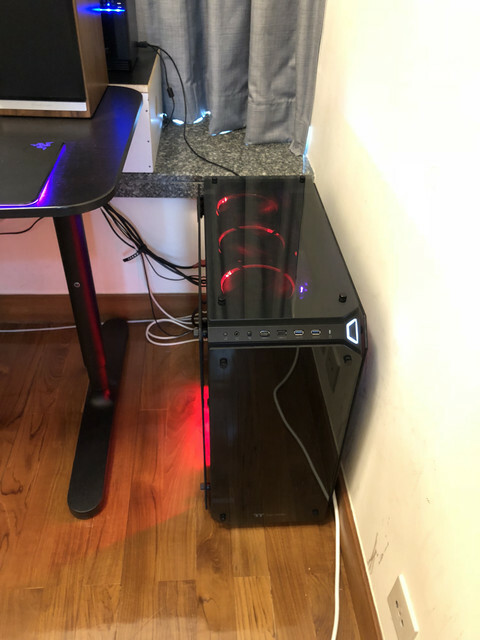 i have a 280 rad i want to put behind where the drive cages go and have three fans in the front so it looks like there is a 360/420 rad instead. i was just wondering if i could get a measurement to see if it is possible to fit it. It's 40mm between the motherboard tray and the back panel for this case. Thanks so much. now i just need to see if i can route pipes between the radiators. You need to check the Ports of the USB is working or not and you can also take the help from the other devices.Earlier my laptop ports was not working then I got the help from my other device because I need to completed grab my essay Work and then I purchase new USB which is working very good. see how it goes. Great pictures so far and they will be very valuable to me while figuring this out. Can someone please measure how much space is there between the HDD rack and the front of the case? 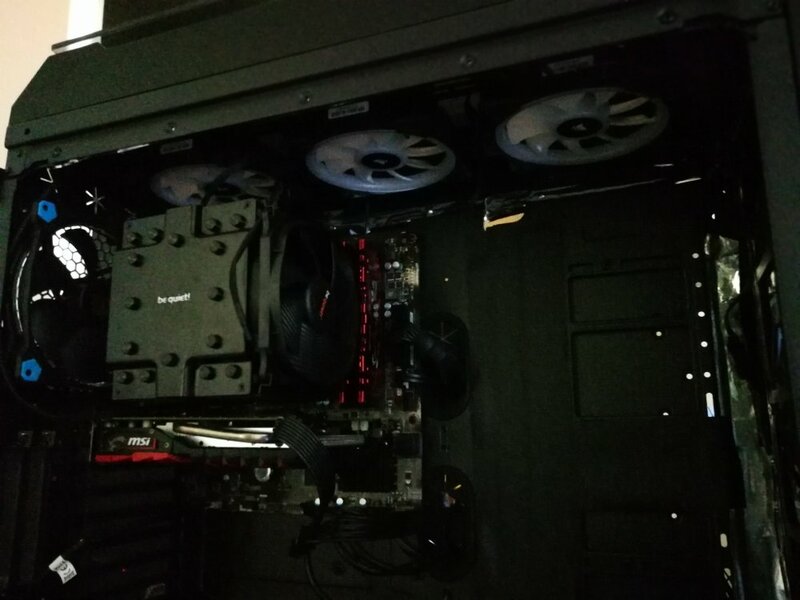 I want to see if I can fit an AIO radiator there instead of the top. 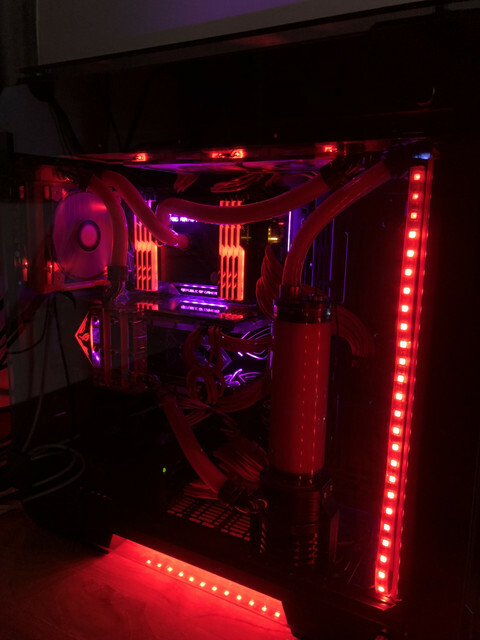 I put my 1st computer together. I never did it before and had to watch a video on how to get the GPU out, but I did it and it works. 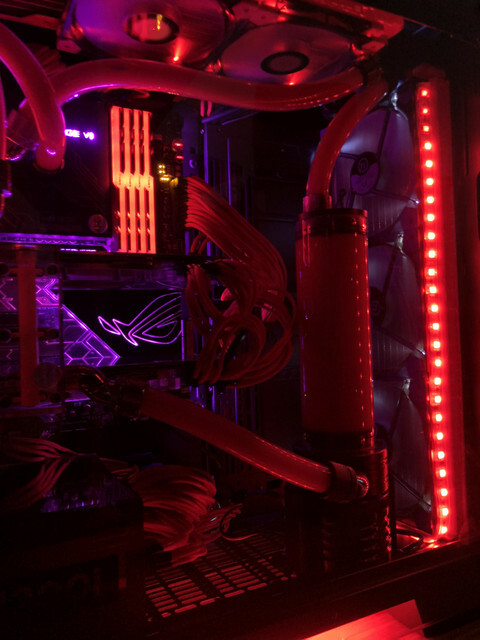 I could use some advice on an RGB motherboard that has the most headers and room for many plugins. Any advice on that would be great. I will pick up a modular PSU, advice on RGB parts would be great for this 1st build. I have built two computers in this case now, but on the second one, I want to mount a 5" drive bay that holds 4x 2.5" SATA drives. In other words, I would like to use the 5" drive bay. I can't find ANYTHING online to figure out what their intention was in their design. I can't find anything to mount a simple drive. Maybe I am missing something, but I have searched for shrouds, and all kinds of stuff to figure this out. 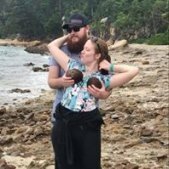 Their product is great, and their manual is crap. There is no way to mount 5.25" drive out of the box, and they don't seem to offer the product. Any ideas on what you all have done? I've created two awesome computers, but this is just infuriating that they have a 5.25" bay that is un-mountable, and also inaccessible, given the front panel. ... There is no way to mount 5.25" drive out of the box, and they don't seem to offer the product. Any ideas on what you all have done? I've created two awesome computers, but this is just infuriating that they have a 5.25" bay that is un-mountable, and also inaccessible, given the front panel. 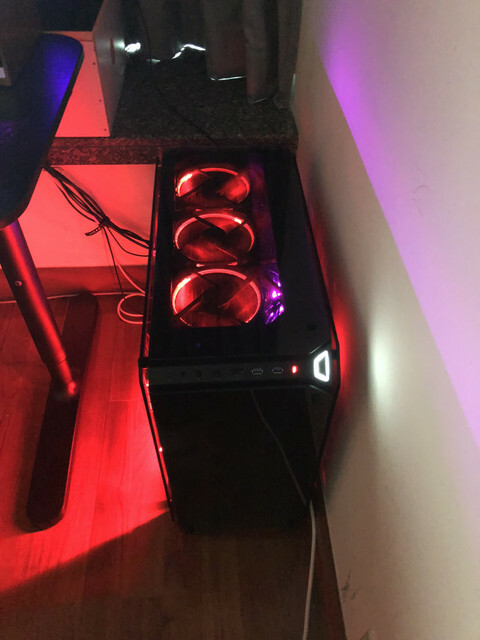 i got one RGB version, its nice and all, fits everything... but seems like i got a faulty controller, fans spin but no lights, changing witching connections on controller only gets 1 or 2 to light up but no control over them. which isnt sold anywhere i looked online, yet support was trying to tell me there is only normal and pic was for reference while its not true, there 2 different RGB versions on TT website. both fans and controller arent same as PLUS one.